All posts in "Wedding Vows"
Getting your wedding vows wedding-ready with minimal fuss So who’s up for the vow boot camp challenge? What’s the secret to writing fabulous wedding vows? Wedding Vows: Will you be a reader, reciter or repeater? 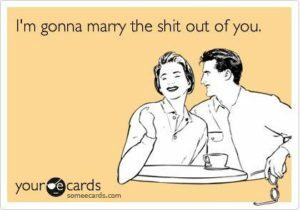 Who said wedding vows couldn’t be funny?